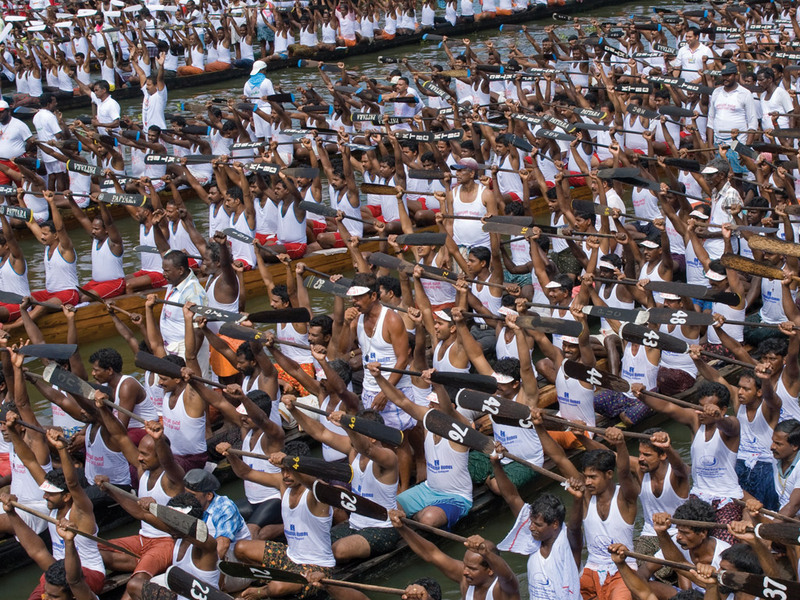 In Kerala, the season of boat races starts with the renowned Champakkulam Moolam Vallam Kali (boat race). The festival takes place at Champakkulam, a serene village in Alappuzha district, on the moolam asterism in the Malayalam month of mithunam (June/July). 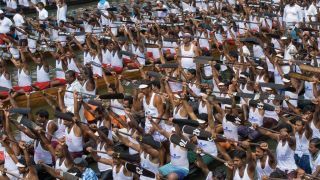 As the sun comes straight on top of all gathered, boats in various categories like the chundan (snake boat), veppu, iruttu kuthi, churulan and others from nearby regions assemble at the starting point of the race. Among these boats, the snake boats with its fascinating design catch the attention of all. Being the largest sporting event in the world, snake boat race is often considered as the ultimate test of endurance, speed and skill. As the oarsmen set the pace of their boats with oars striking the placid waters of River Pamba, it becomes a track on fire.